Intimate French bistro dining in a classic 1909 bungalow in Flagstaff. : The Cottage Place has entered a new chapter as The Cottage, now helmed by chef/owner Scott Heinonen. 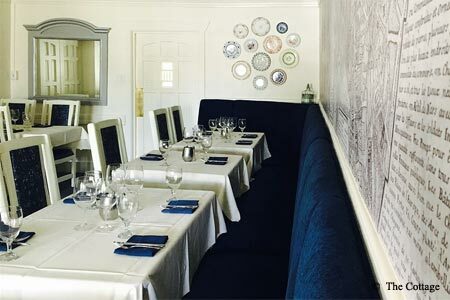 In this vintage 1909 Flagstaff bungalow, guests can enjoy seasonal bistro cuisine inspired by French regional country dishes. Starters might range from house-smoked salmon tartine to pan-fried veal sweetbreads to The Cottage charcuterie plate. Continue on with steak frites, roasted half chicken or braised lamb shoulder bourguignon. Look out for daily specials like 50% off all wine bottles on Thursdays.